The Summer Season has officially started…. 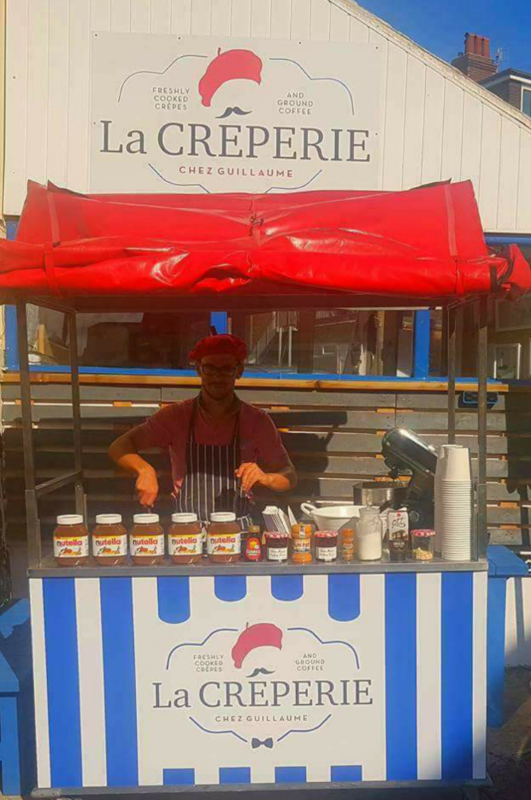 Seaford Town Council is pleased to announce that from the first week in April the town will be welcoming back the food & drink concessions to the seafront – La Creperie, will return selling their range of delicious crepes and, new for 2019, will be the Holy Cow! Ice Cream Company, selling homemade scoop ice cream. 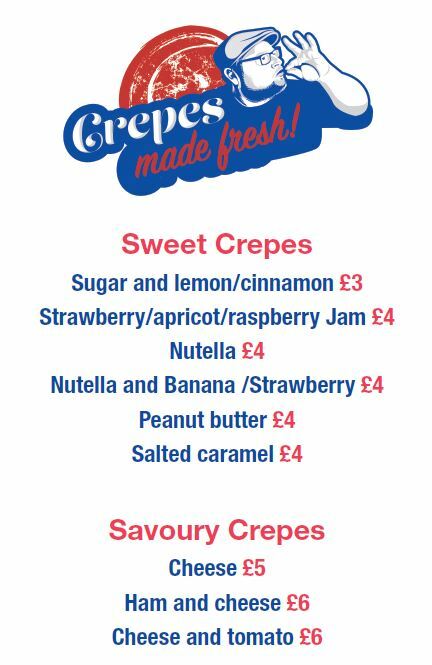 La Creperie proved a huge success last summer, offering both sweet and savoury fresh crepes. This family-run business, with its 5-star hygiene rating, child-friendly service, locally sourced ingredients and plastic-free ideal, is a wonderful addition and truly unique offering to Seaford town. Holy Cow! 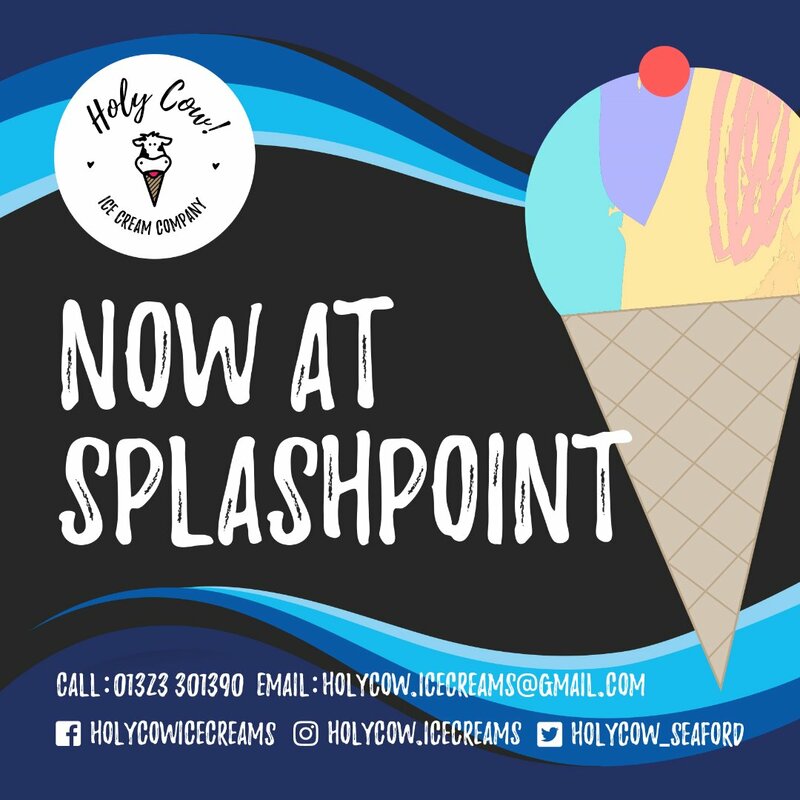 Ice Cream Company is a newcomer to the seafront concessions this year and will be run from a traditional ice cream tricycle by business owner, Laura Gutane, and her team. Holy Cow! will be sited on Seaford promenade by the Esplanade Car Park near Splash Point. Holy Cow! also with a 5-star hygiene rating, offers homemade soft scoop ice cream, doggie ice cream, ice cream sandwiches and locally grown pressed juices. The Holy Cow! trike rainbow is also available to hire for events and special occasions; do contact Laura for further details by phoning the shop at 01323 301390 or e-mailing holycow.icecreams@gmail.com. The shop in 14 Sutton Road will also continue to open for its current hours Tuesday-Friday 11am-4:30pm, Saturday 11am-5pm and Sunday 11am-4pm. 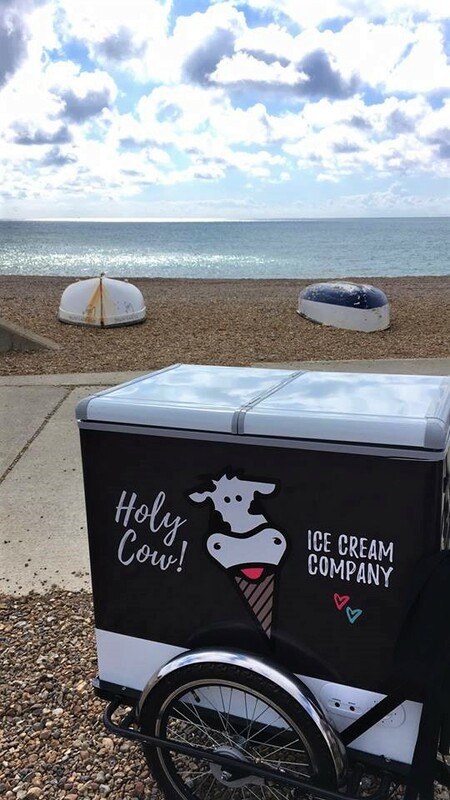 Laura is very excited to be able to bring her artisan ice cream to Seaford beach, following the success of the shop in Seaford town. Please check out the concessions Facebook pages for updates on opening dates and times. Seaford promenade benefits from 12-hour free parking and is in direct proximity to public facilities including toilets, a skate park, playing fields and a play park. Seaford Town Council aims to support concessions throughout the town and can offer monthly and annual trading consent notices. The Council is currently seeking a fish & chip concession to offer a high level of service from a mobile kiosk at Bönningstedt Promenade – a great location with a significant amount of passing foot fall and vehicle traffic, with free public car parking. If you are interested in applying or know someone who is, please get in contact either via email facilities@seafordtowncouncil.gov.uk or call the office 01323 894870 to request an application form.